Vinodiversity Magazine is a beautiful digital publication on the Apple Newsstand. You can read it on your iPad or iPhone. 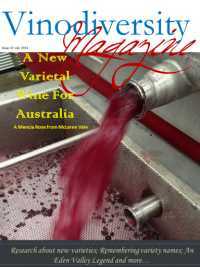 The Magazine contains stories, images, videos, sometimes even songs about wines from Australia and abroad fitting into the theme of Vinodiversity. It has its Facebook page . 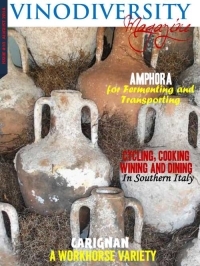 As an introductory offer you can get your first 12 Months sub to my Vinodiversity Magazine for free. You will receive an occasional email about what's happening at Vinodiversity. Go to This Page for instructions on how to complete your sign up. Please contact me if you have comments or questions about this product.